Here’s a statistic that may blow your hair back a little. Per Gallup, 82 percent of managerial hires end up being the wrong one for the company in question. Why is it so hard to be a good manager, and why do so many companies perpetuate bad management? If this 82% stat is true, but there are still companies making tons of profits each year, does bad management truly affect the bottom line? Why is it so hard to be a good manager? The reason you get promoted is because you’ve done good work, you’ve hit your goals, you’ve made good decisions. You’re in this job, and of course, you immediately want to make good decisions, hit your goals, move things forward. You forget that when you’re an employee you want your manager helping and giving you advice and then kind of getting out of your way. As a manager, your whole mindset shifts. [Y]ou start saying, I gotta make sure everyone delivers. I gotta micromanage. I gotta watch things. It’s not intuitive as a manager to give people more freedom and back off. That’s one of the things we’ve discovered — that you have to limit the power of managers. Then people perform way, way better. One of the more popular business books of the past 20 years, Marshall Goldsmith’s What Got You Here Won’t Get You There, refers to this same concept: namely, management isn’t intuitive to most people. Instead of thinking about their new direct reports as people with lives and contexts of their own, many new managers think of employees as productivity targets or KPIs. Limiting the power of managers can actually make organizations more effective, counterintuitive as that might be on face. 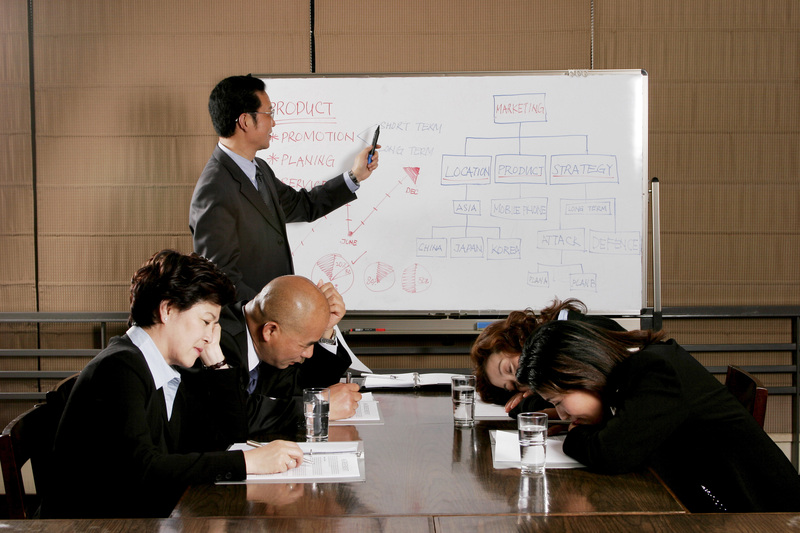 The other issue with bad management is training. Per research, most people receive their first managerial role at age 30. Their first managerial training, though, isn’t until age 42. Not all managerial trainings are created equal — some might potentially regress a manager — but to go over a decade between “becoming a manager” and “getting trained to be a manager” is a significant issue. What’s the tie to the bottom line? Tony Robbins makes an excellent point about organizations scaling in this interview with Tim Ferriss. The argument is this: at some point, a company is 2-3 people (the founders). Eventually that becomes 5, then 10, then 20, etc. Every time you add a person and another layer, the communication channels become a little bit more frayed. Managing a three-person company vs. a 3,000-person company is hugely different. Companies are often good at scaling production for their products, but scaling the culture and managerial skill sets often gets left behind. This has consequences. According to one set of research (admittedly from a small sample size), poor leadership costs companies $144,541.30 per day. That might be the annual salary of someone in a leadership role, and their poor leadership is costing the company that amount each day. Additional research from Northwestern has shown that poor leadership, often in the form of unclear priorities and wasted time, costs organizations $15.5 million per year. By contrast, organizations with very strong management levels often double their profits. There are many metrics people use to attempt measuring “bad management,” and one of the most common is turnover. Bad managers obviously contribute to turnover; most research across the past 30 years has indicated people tend to leave their boss, not their actual job or company. Research from Dale Carnegie Institute at the end of 2016 showed that 41 percent of North American workers planned to try for a new job in 2017. The most-cited reason? Bad management at their current job. That’s nearly half the North American work force entering a new year with one foot out the door. Consistent turnover has many negative repercussions for a company’s bottom line, and losing four of every 10 employees in a calendar year is really bad. How can we improve managers? There are dozens of ideas here, but Bock’s advice above makes some sense: limit their power, or shift their focus from “managing productivity” to “managing the priorities of their people.” There’s research from MIT showing that 67 percent of senior leaders can’t name the priorities of their CEO. Once you get a few levels below that, priority assignment is a large game of telephone. As a result of these unclear goals in the middle management levels, research has shown that 21.4 million managers are contributing no economic value back to their company. That’s 17 percent of the U.S. full-time work force, and close to 42 percent of all people holding managerial titles. They could be made more effective with a shift in how they’re measured and compensated. The other improvement could come from increased training around how to work with different styles of people, how to communicate better, how to align company strategy with daily execution, and the like. One of the most common traits of companies who regularly get on the ‘Best Places To Work’ list, such as Google or Mercedes Benz, is an almost religious commitment to training and developing people. It’s hard to expect managers to improve when they’re waiting 12 years between initial promotion and initial training. Want more advice related to talent acquisition, retention and other HR challenges? Stay connected to College Recruiter on LinkedIn, Twitter, Facebook, and YouTube.